There's no place like gnome for this scientist! 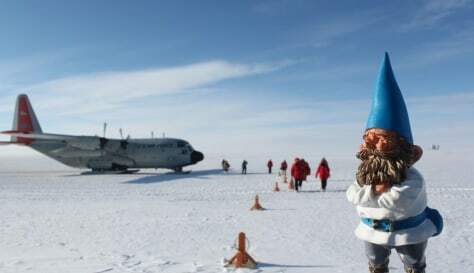 Here, the gnome is standing at the Antarctic South Pole. Turns out, the gnome weighs more at the South Pole than at the equator — and you do, too.